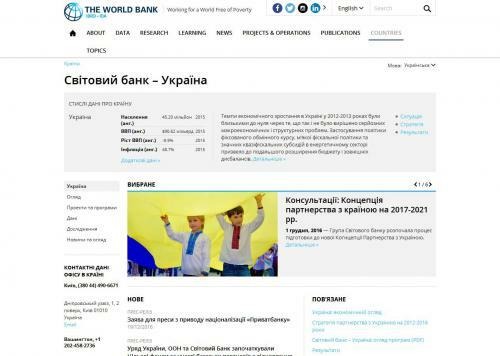 The web site of the World Bank in Ukraine. The information of the Bank, its objectives and activities. News, events, statistics, publications and programs. Analytics and consulting, development topics, contact.